In today’s day and age, credit cards have become essential for everyone. There are many everyday transaction-based activities which are not possible without a credit card. 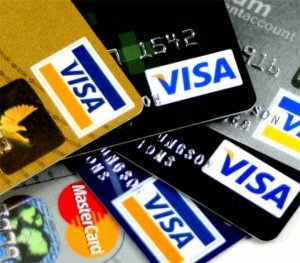 Credit cards can be highly convenient and useful, but they often get a bad reputation too. That’s why it is important to become financially literate and properly understand the pros and cons of using them. Here are some credit card advantages and disadvantages. One of the biggest advantages that credit cards offer you is the amazing convenience. The ability to get money when you need it especially in an emergency situation. With a credit card in hand, you don’t have to worry about how much cash you have and you can purchase almost anything within your limits, instantly. Be it dining, online buying, grocery shopping, travelling and so on, the moment you swipe your card for any purchase, you get introduced to a host of new deals, cashbacks and rewards. Each time you use your card, unlimited offers knock on your door, giving you even more choices. Your online purchases are safely recorded by your credit card through your monthly statement and online account. Some credit cards also send year-end summaries, which can be a useful resource especially when you’re submitting your tax returns. Credit cards are a perfect way to obtain and maintain a good rating. Having a good credit history is often important, not only when applying for credit cards, but also when applying for things such as loans, insurance, property rental or even some jobs. Using your credit card and making payments on time and in full each month will help you build a good credit history. Most airlines, hotels, and car rental agencies no longer accept cash purchases, so allowing them to charge your credit card makes your purchases easier. Also, you will be able to stop payment on a credit card account for unsatisfactory services. A number of companies guarantee all purchases over the internet, so this clearly puts you in the driver’s seat. Credit cards offer you additional protection if something you have bought is lost, damaged, or stolen. Both the credit card company and the statement on your card can testify that you have made a purchase if the original receipt is lost or stolen. In addition, you can also take advantage of insurance on large purchases offered by many credit card companies. On the internet, credit cards give you the advantage of comparing prices and shopping worldwide. As e-commerce becomes more and more prevalent, the credit card becomes the most convenient payment option for this scenario. Most credit card companies now offer advanced services and features that allow you to fully access and manage your account online. Credit cards can also be useful during an emergency. While we recommend not spending outside your budget, sometimes emergencies; a sudden health situation in the family, your car breaking down or a hurricane or snowstorm may require a credit card purchase, making them a valuable asset. The biggest disadvantage of credit cards is the temptation factor: Since they’re so easy to use, they also make it easy to overspend with money that you don’t have. While it may seem like ‘free money’ at the time, you will have to pay it off – and the longer you wait, the more money you will owe, as the high interest piles up. If you need help in this area, you can reach any of our trained credit counsellors at 1-844-402-3073 or contact us online through our online debt analysis and a counsellor will reach out to you shortly. Many credit cards charge a very high interest rate, which can be expensive if you don’t pay off the balance in full each month. Also, the instant you avail a loan on your card or if you are a bit late on repaying your balance, you will have to confront steep interest charges – often up to 24%-36% annually. Like cash, sometimes credit cards can be stolen. They may be physically stolen or someone may steal your credit card number from a receipt, over the phone, or from a Web site. They could then quickly use your card to rack up debts. The silver lining here is that, unlike cash, if you realize your credit card or number has been stolen and you report it to your credit card company immediately, you will not be charged for any purchases made by the thief. Remember, most credit cards come with an annual fee. It is something people often forget, but how do you think the banks can afford to give away the temporary loans from time to time. When the annual fee and interest adds up, they can be more costly than you imagined it to be. If you end up running higher balances on your credit card and don’t pay them down each month, your credit score will be reduced. Maintaining balances at or close to the maximum credit you have available will have a negative impact on your credit score. The temptation to acquire too many credit card accounts can lead to losing track of payment details and deadlines. This can be disastrous as it can also lead to a false sense of security. You may even find yourself transferring accounts to new services with lower interest. This can lead to ballooning payments when late payments occur. Overall, the credit card is a great tool if used carefully. If you are repaying on time, and in full every month, you are fine, otherwise the accumulated interest will dig a big hole in your pocket. Understanding these pros and cons of credit cards can help you make better decisions on how to use credit cards now and in the future. A trained credit counsellor can help you understand the advantages and disadvantages of credit cards and help you get out of credit card debt. For effective debt solutions, you can reach any of our trained credit counsellors at 1-844-402-3073 or contact us online through our online debt analysis and a counsellor will reach out to you shortly.